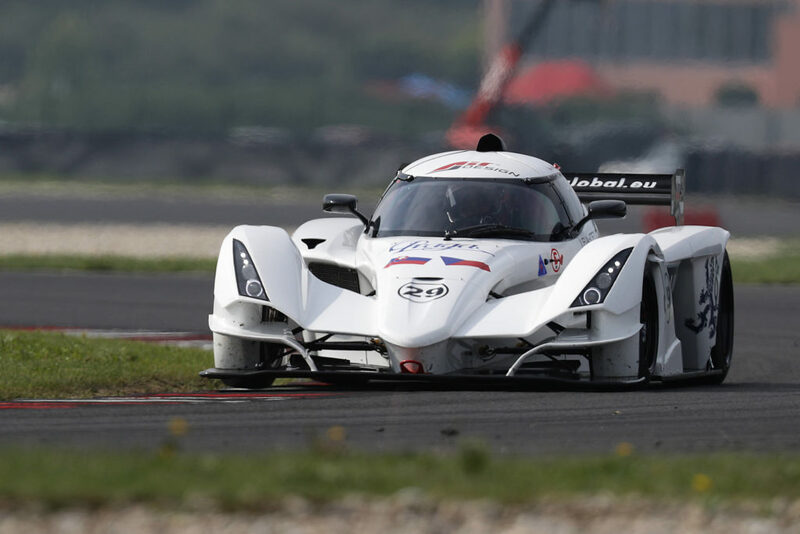 Praga R1Ts have been introduced to thousands of spectators during the Grand Prix of Slovakia. 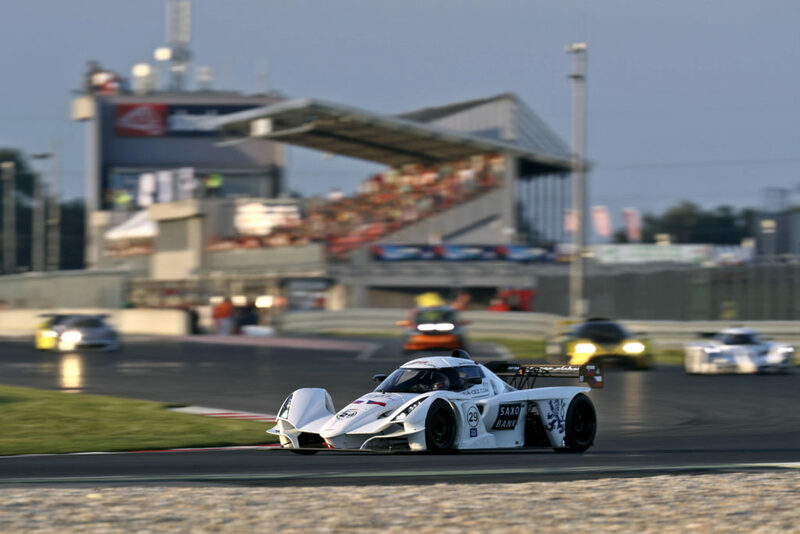 One of the company’s cars was under control of Aleš Jirásek, Praga’s driver during the whole FIA CEZ season and the current leader in the D5 category. In the qualifications he has grasped two second and one third place. 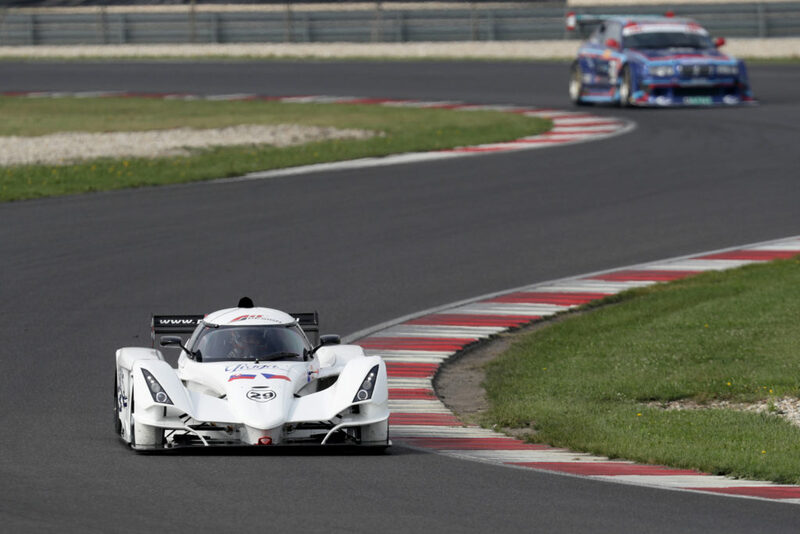 Patrik Němec sat behind Praga’s wheel on Thursday’s training and in qualifications for sprint races finished sixth and seventh. 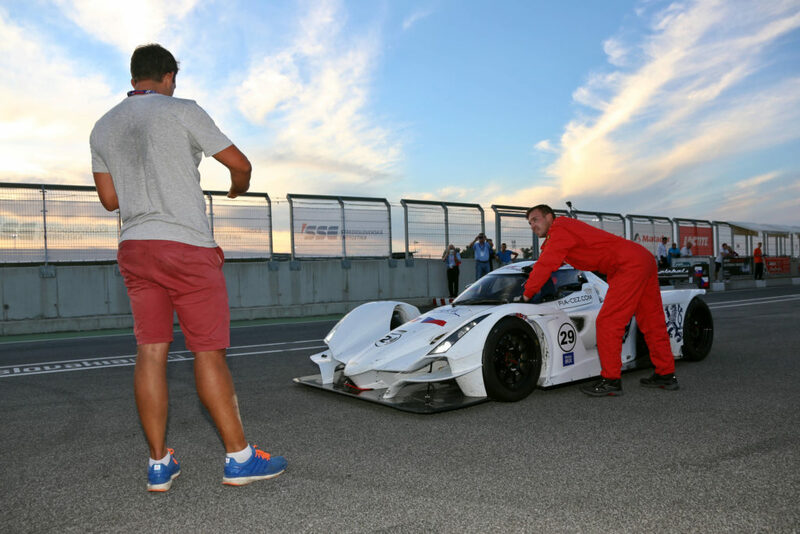 He also participated in the endurance along with Tomáš Vojtěch and they delivered together the sixth best time. It was really hot when the Saturday’s sprint race started; needless to say that these conditions affected the whole race. 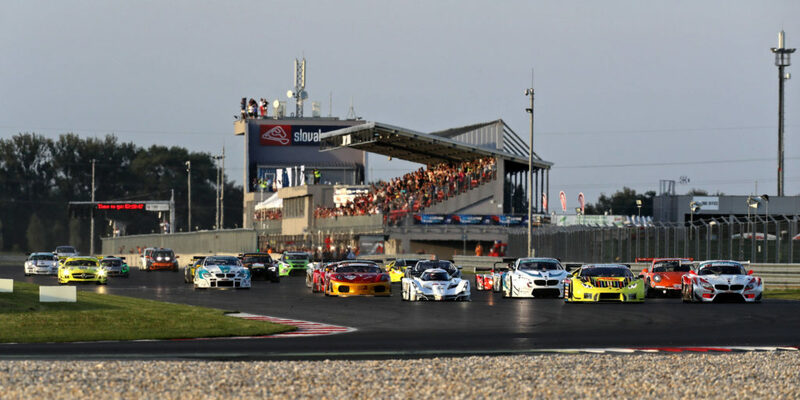 Jirásek started on the third position and began the race successfully dealing with ambitious Miro Konopka, catching up with second Knoll. 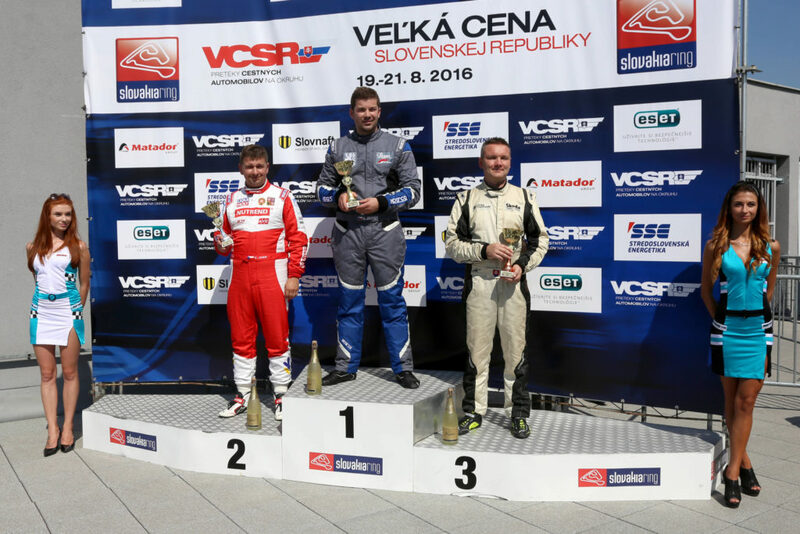 Breath-taking duel turned out better for Aleš who managed to seize the second place and won the D5 category. 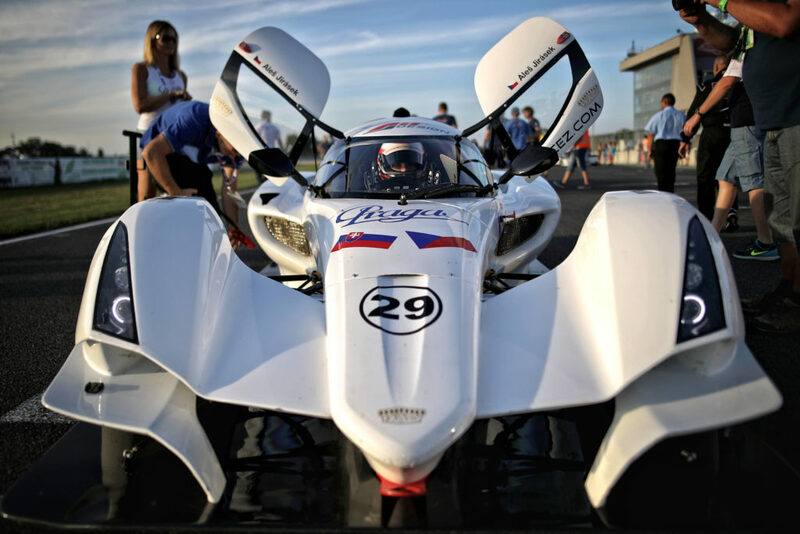 “The heat was extreme so I had to be really careful about the temperature of the tires. 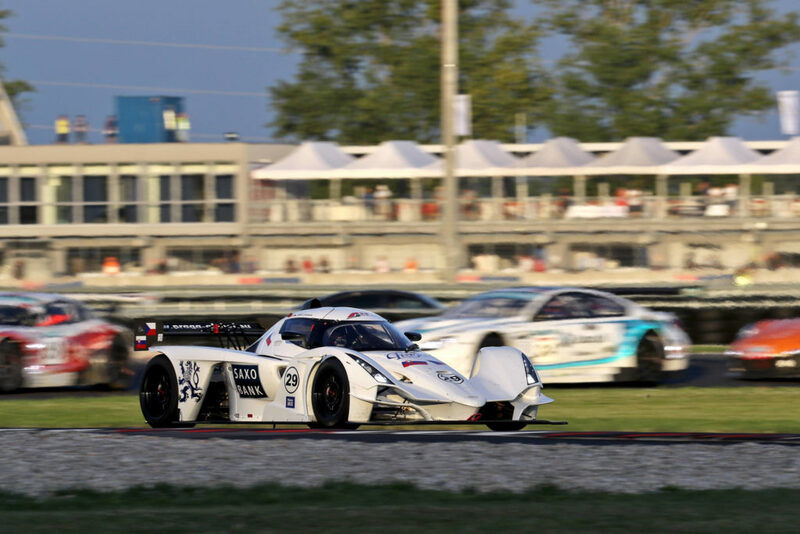 We expected better times for each lap but the second place is alright,” commented Jirásek on the initial sprint race. 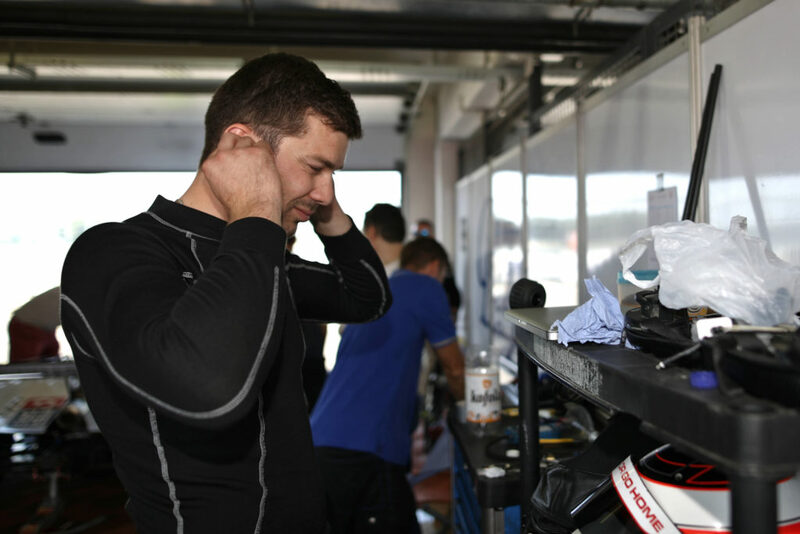 Patrik Němec had some hard times dealing with GT3 vehicles and Norma of Václav Janík as well. He finished on the eight place (and the third place in the D5 category). 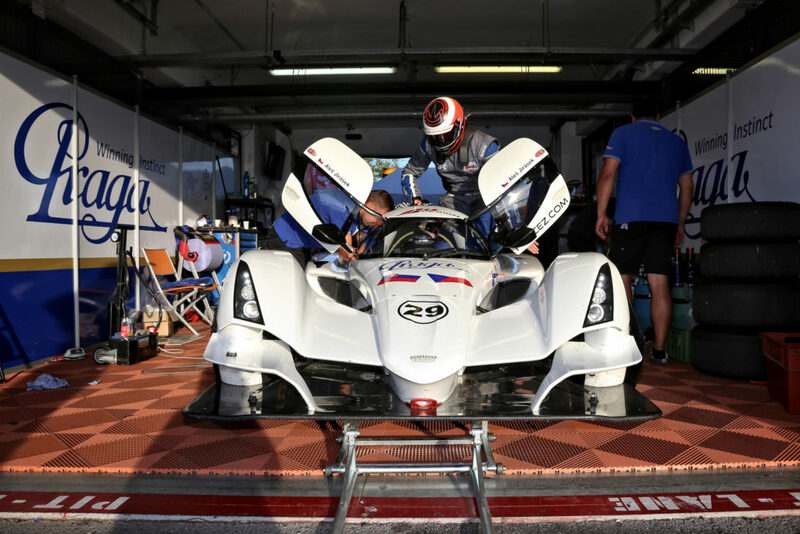 “I haven’t been in a racing car for a whole year but I was lucky to keep the pace and have competitive times with racers who participate in the whole championship. 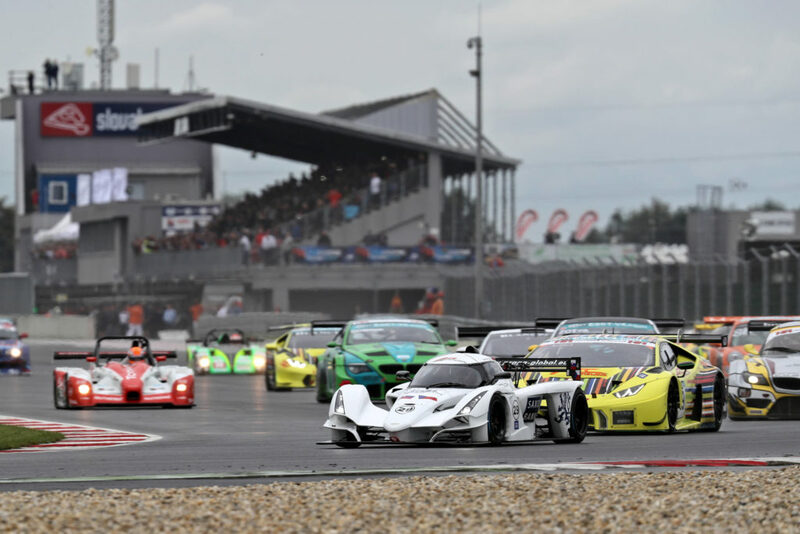 GT3 cars were slower in the technique-oriented parts of the race but I didn’t want to enter more drastic duels – so that the car would be in one piece at the end,” commented Patrik on his performance. 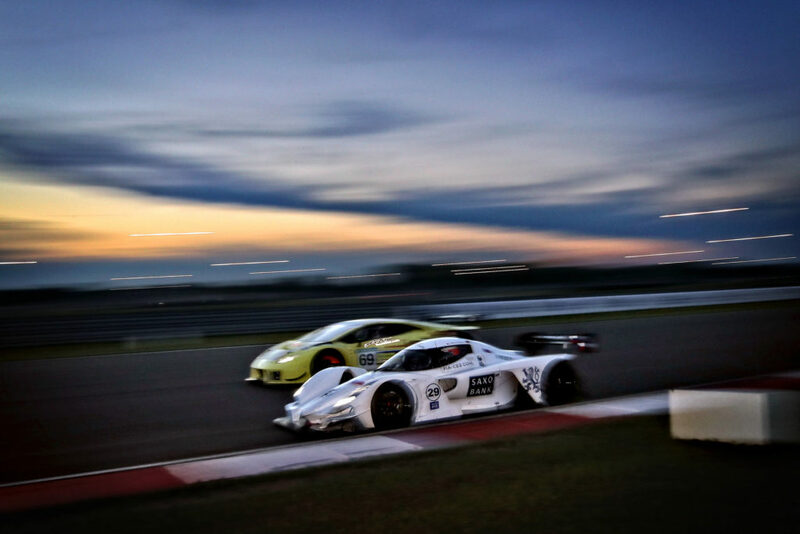 Early evening Endurance race began at light but finished when the sky turned almost completely dark. This gave a magical feeling to the experience of the spectators. 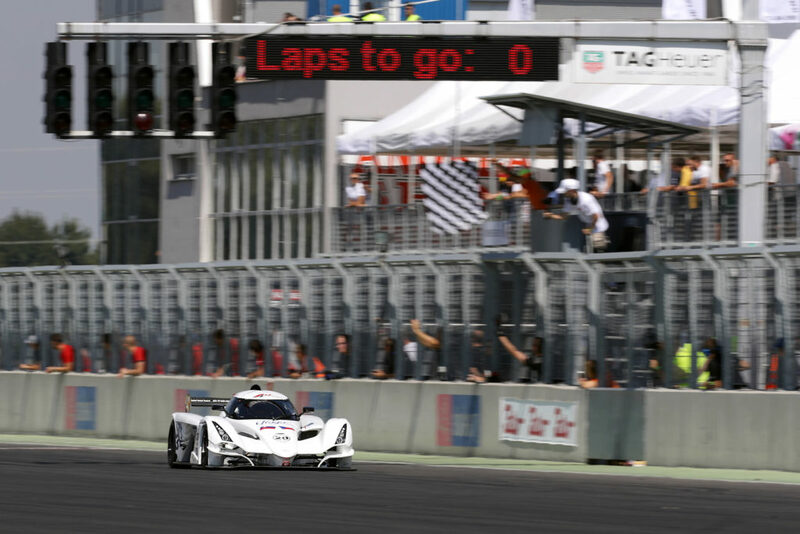 Jirásek stared on the third place and managed to get all the way to the front during the fourth lap and – what’s more – stayed first until the very end. “This was a great race for us! Rosina with Konopka gave me some hard time with their GT3 Lambo at the end. Luckily, I had some solid lead at that point and so I’ve managed to finish first,” explained Praga’s driver at the finish line. 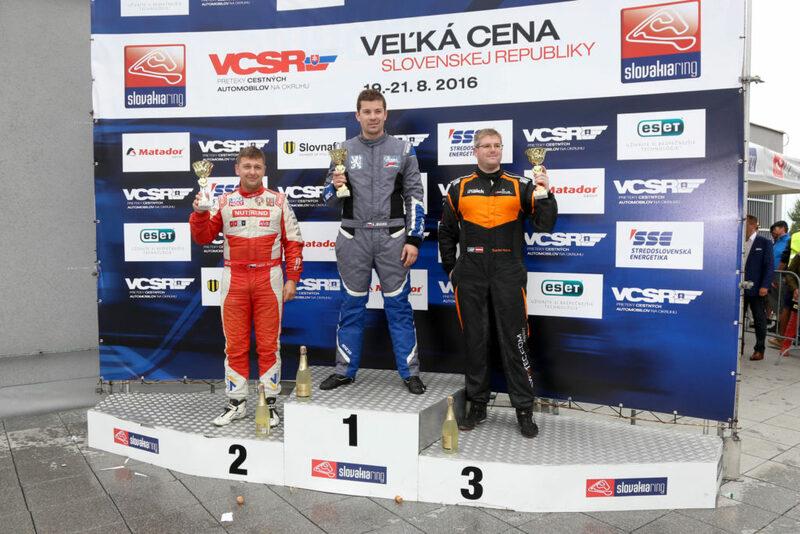 Vojtěch and Němec enjoyed several duels with other drivers and still managed to finish on the fifth place (and third in the D5 category). 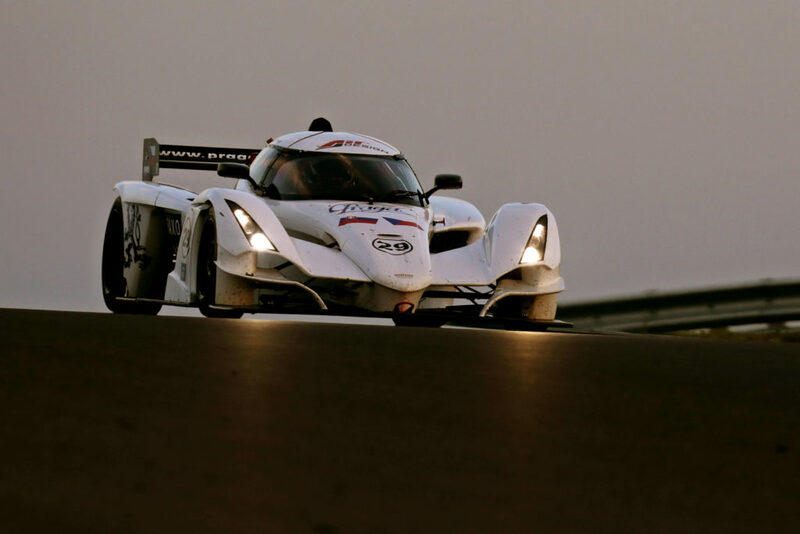 “Our sensor broke down so we weren’t able to use the car’s full potential. 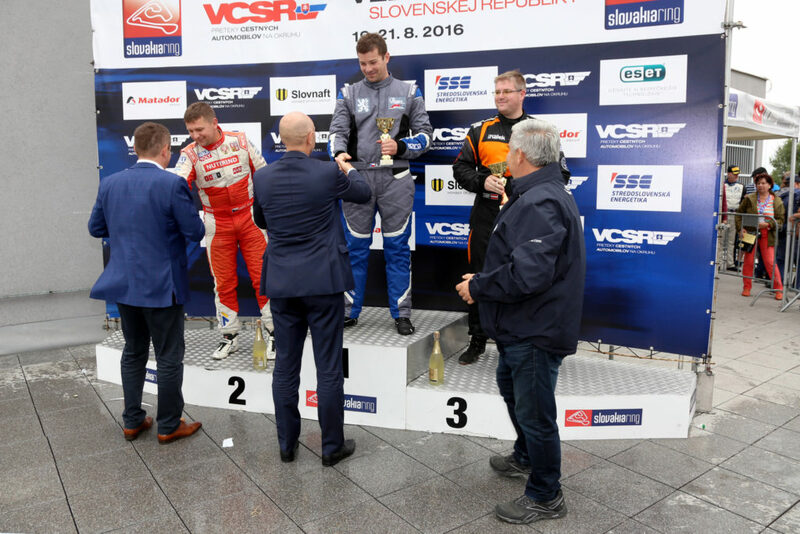 But it still drove quite fast and we both have enjoyed the race,” stated Tomáš Vojtěch on this experience. 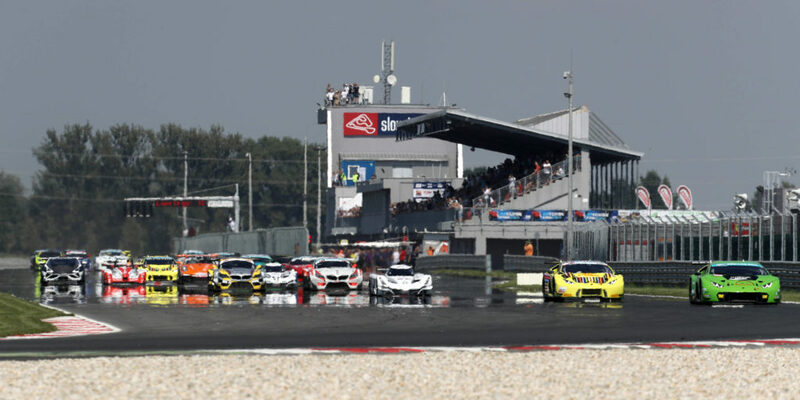 It rained before the second sprint race and the surface of Slovakiaring was drying out slowly – so the drivers decided to change the tires before the race. 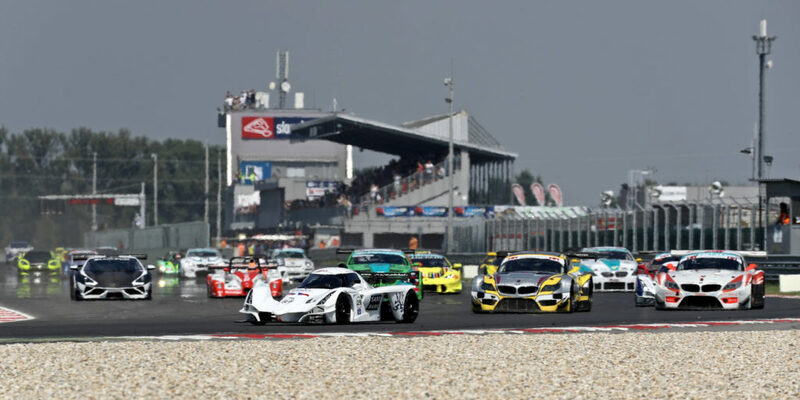 Aleš Jirásek fell down to the third place in the first lap but masterfully got ahead of Malchárek and his BMW M6 GT3 – and therefore got to the second place. He kept attacking on Rosina because his Lamborghini’s tires were wearing out much faster than Praga’s. 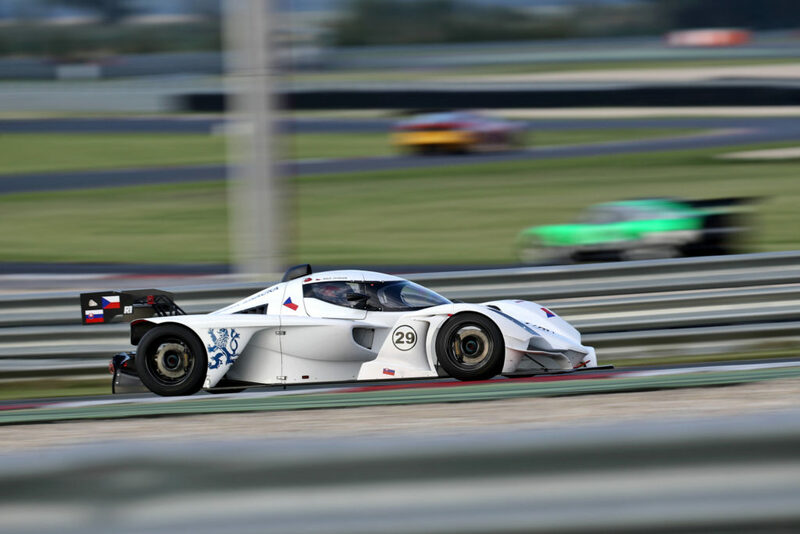 There was especially exciting duel in the last lap but Rosina was able to handle Jirásek’s effort and have won the race. “It was great to compete with Štefan because you know that he doesn’t play dirty. The race must have been exciting for the spectators as well, because the outcome wasn’t certain until the very end. 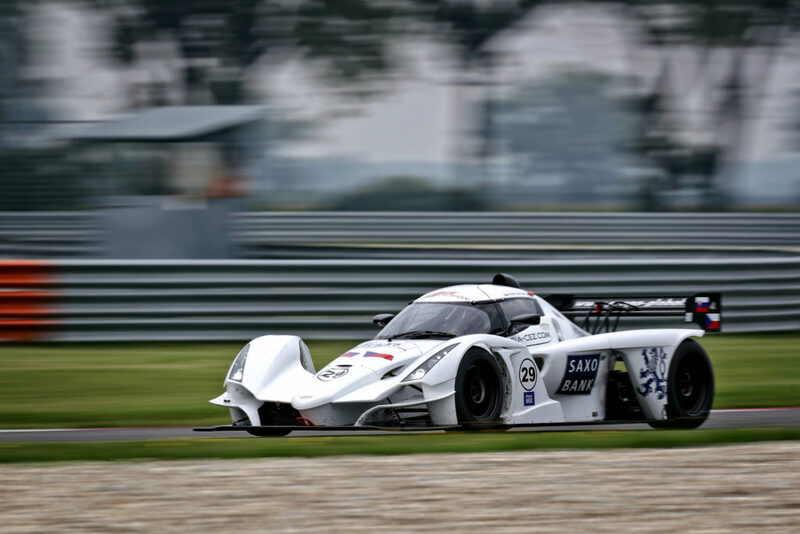 We are really happy about the whole weekend and I’d like to thank the whole team for the job they’ve done on the car,“ stated Aleš with satisfaction after the race. 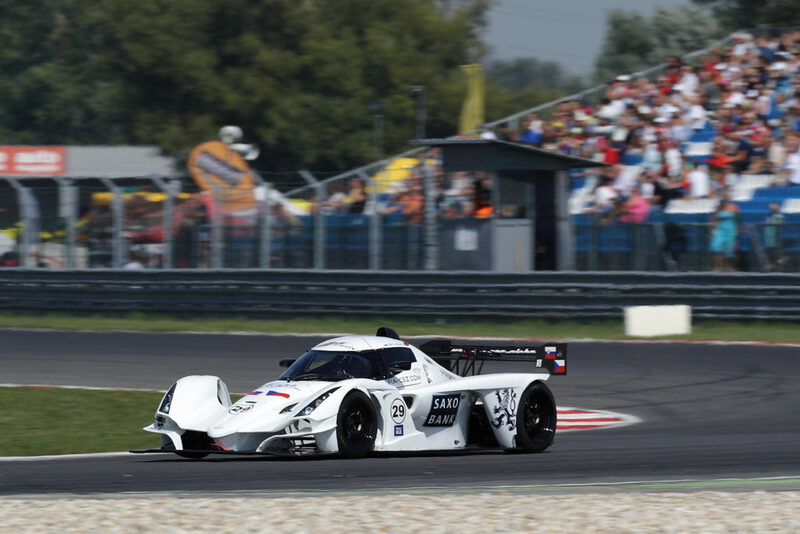 Patrik Němec with the other Praga car wasn’t so lucky because he had to leave the race – there was a malfunction of the transmission during the second lap. Nevertheless he felt content with the overall experience: “I’d like to thank the entire team for this opportunity and hope that it wasn’t my last time. 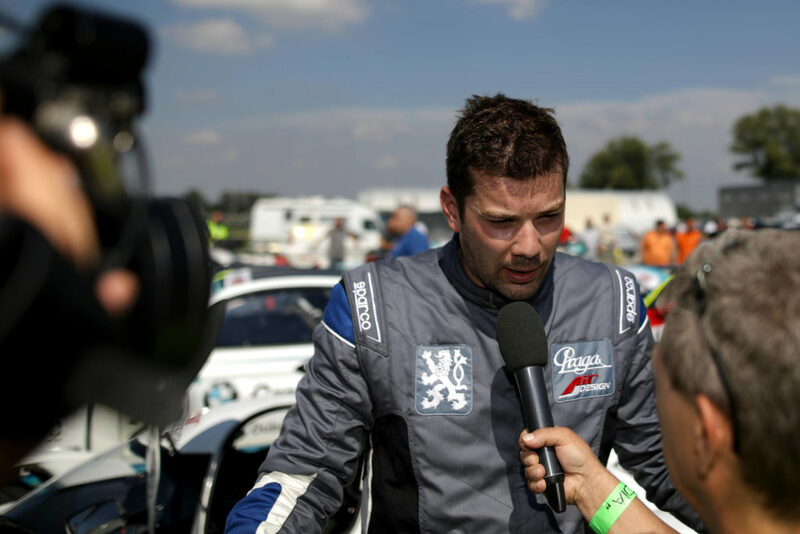 I’ve had tremendous fun throughout the whole weekend,” commented Patrik on this domestic race. 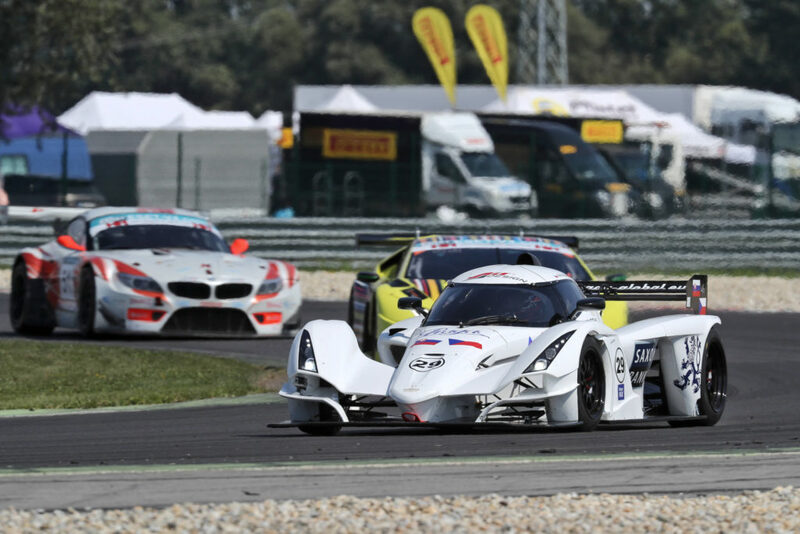 Praga Cars Racing team is now ready to face the next racing event in Italian Mugellu where they will introduce turbo-diesel version of R1T and meet the competition in Gruppo Peroni series. And right after that is the time for Autumn prix of Masaryk Circuit.